Buy Bio D Washing Up Liquid 750ml in the UK from our online shop or directly from our independent Scottish store. A concentrated, low foam washing up liquid, excellent for everyday use yet tough on burnt on stains. Where can you buy real Washing Up Liquid safely online? If you are wondering where you can buy Bio D Washing Up Liquid 750ml safely online in the UK, then shop with us. 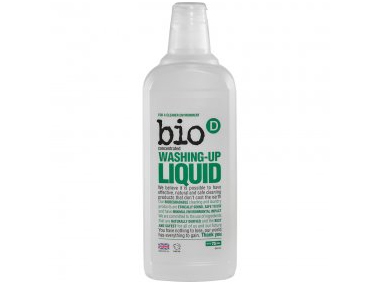 Washing Up Liquid - Bio D Washing Up Liquid 750ml in Cleaning & Laundry and Household.